The cast of KBS drama “Dream High” was seen practicing to SNSD’s “Genie”. 2pm’s Taecyeon, missA’s Suzy, Soohyun, and IU said “Tell Me Your Wish” on the 14th with a dance cover of the hit song. The drama, which follows the stories of various students aiming to be pop stars, have included performances of missA‘s “Bad Girl Good Girl” and “Breathe”. Maybe the next cover will be of Soshi? We’ll keep you posted; in the meantime, check out the fancam of the practice! Turns out the next cover IS of Soshi! Check under the cut for mini-synopsis and fancam! myx North America, a music lifestyle channel focusing on the Asian American youth community, have revealed their Top 100 songs of 2010. SNSD ranked in at number 3 with “Run Devil Run” making it one of only two Korean songs featured in the top 10, the other being 2PM’s “Heartbeat” – 9PM fans spaz away! “Oh!” is also featured on the list at 42. For those interested, the top 10, and a link to the full top 100 list after the jump. Seobaby’s got herself a part in an upcoming song that is to be sung by 20 different idols! In early October of this year, a campaign song called “Let’s Go” will be released for the G20 Seoul Summit. A music video shall also be released at around the same time. No exact date has been given yet, just be on the lookout! The following artists will participate (goodness..what is everyone going to sing? A word? ): Seohyun, IU, Luna, Gyuri, Jonghyun, Sungmin, Changmin (2AM), Junsu (2pm), Junhyung, Son Dambi, Seo In-guk, Gahee, Gayook, Min, Jieun, G.O., Jaegyung, Bumkey, G.NA, and lastly, Anna. Incheon Korean Music Wave 2010! Updated with a bunch of better fancams! At 7PM KST later tonight,the Incheon Korean Music Wave 2010 is going live! As reported earlier on,both Tiffany & Yuri are once again selected to be the hosts for this event,together with Oh Sang Jin. Just a random and quick update on the girls’ latest activities. Herr0: updated with preview video! Oh Em Gee it’s SICA AND NICHKHUN! 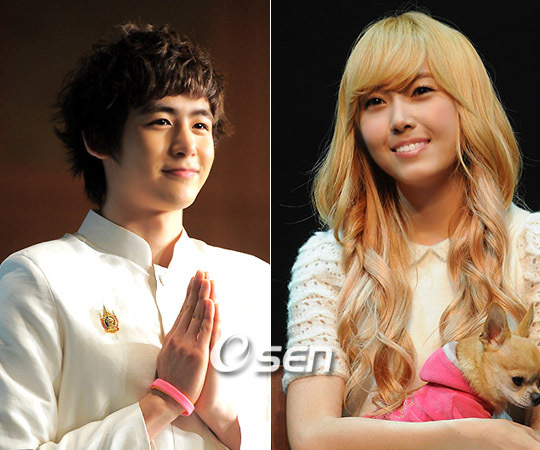 On July 23rd, it was annouced by an official from “Running Man” that SNSD’s Sica and 2PM’s Nichkhun will attend the “Good Sunday Part 1 – Running Man” entertainment program ! YAY I’M SO EXCITED! Along with actress Song Ji Hyo, the three will appear as guests in the program. The episode of “Running Man” that will star these three gorgeous guests is predicted to air August 1, (very soon! ), so that’s great news to hear! 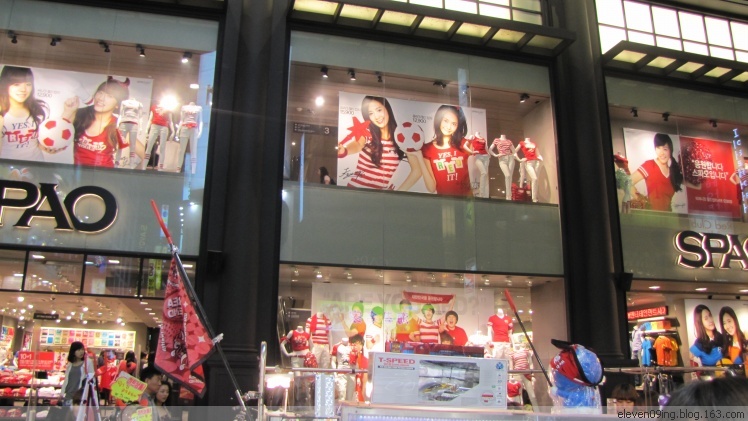 SPAO goes Soshi; Caribbean Bay goes Cute? Oh ma gawd, it’s like heaven on earth. New Version Of The Cabi Song MV! The first version of the Cabi Song MV has been receiving mixed reactions from the fans ever since its release and it seems like Samsung,the owner of the Carribean Bay,actually felt that there was a need to remake it and they did! Without any further ado,let’s check out the latest version! CABI MV WITH ALL THE GIRLS! Okay, wow, I am amazed. Scratch the pics, scratch the song, scratch the teaser, THE MV IS HERE!